Dr. Angelo A. Costanzo of Clarks Summit passed away on January 25, 2018 following a brief and unexpected illness. Born in Dunmore, PA, Angelo was the only child of Giuseppe “Joseph” and Porzia “Bessie” Costanzo. He was a 1952 graduate of West Scranton High School. A talented athlete, he received a full football scholarship to the University of Scranton where he earned his Bachelor of Science degree in Biology. Angelo then attended the University of Pittsburgh School of Dental Medicine and returned to West Scranton to open his dental practice on North Main Avenue in 1961. 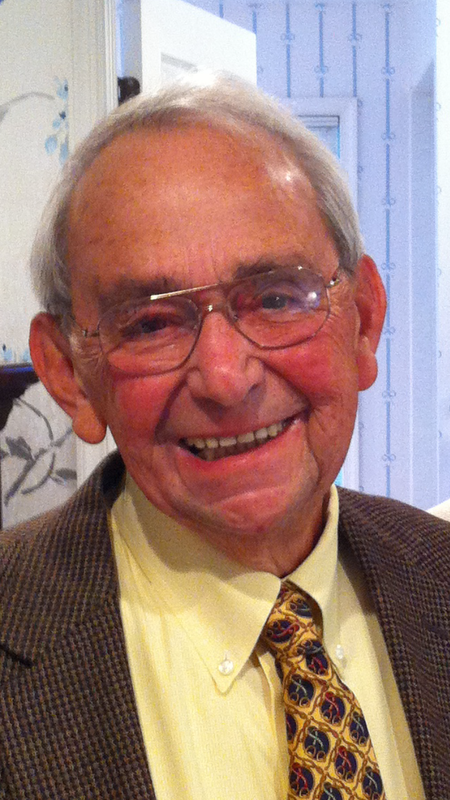 Dr. Costanzo devoted over fifty years of his life to the care of his patients. He felt that his role as a general dentist was to be in service to those who entrusted their care to him, many of whom were life-long patients. His wife Susan would like to thank, on his behalf, each and every one of his patients. Dr. Costanzo was a member of the American Dental Association and the Scranton District Dental Society. In addition to his personal practice, he had for many years devoted his time to the Jewish Community Center Dental Clinic as well as the Dental Clinic at Allied Services. If he wasn’t at his office, his home, or the grocery store, you could undoubtedly find him at the Country Club of Scranton, having been a member since 1968. He served on the Board of Directors from 1988 to 2000. A lover of golf, he took great delight in his two holes-in-one, the second of which he made at the age of 73. Angelo was instrumental in establishing the fishing program at the Country Club’s pond and was a fixture in the locker room playing bridge and relaxing with friends. He was a lover of good food, was an excellent cook, and took great joy in feeding his family and friends. Angelo had a deeply personal relationship with the Lord. His prayers always included his thankfulness for his eternal salvation. Dr. Costanzo is survived by his much loved wife Susan Rochon Costanzo. Angelo and Susan would have celebrated their 28th anniversary of marriage on January 31st. Also surviving are his three daughters, Cathy E. Costanzo and husband, Michael Kendrick of Holyoke, MA; Kristin A. Costanzo and husband, Richard Scott of Holyoke, MA; Elisabeth S. Costanzo Stewart and husband, Benjamin Stewart of Johnson City, NY; son, Joseph Scott Costanzo of Scranton; and grandsons Joshua D. Kendrick and Jonathan D. Scott, both of MA. Dr. Costanzo is also survived by the exceptional women who shared in the service and mission of his dental practice, Marie Salvatori, Bernie Lukasik, Tracy-lyn Casey, and Kimberly Salvatori Dragisics. Arrangements for the funeral service have been made with the Vanston & James Funeral Home at 1401 Ash St, Scranton, PA 18510. Visitation hours will be held on Friday, February 2, 2018 from 4:00 p.m. – 8:00 p.m. A funeral service will follow on Saturday, February 3, 2018 at 10:00 a.m. at the Vanston & James Funeral Home. Given Angelo’s genuine love and desire to feed people, please consider extending that kindness to others by purchasing the groceries of someone in need or making a donation to an organization of your choice whose mission is to feed people. Next Next post: James P. McGraw, Jr.
Our Deepest Sympathy to the family of Dr. Angelo Costanzo. Dr. Costanzo was a frequent customer at our stand at the Co-Operative Farmers Market, Albright Ave., Scranton for many years. His presence, friendship and warm personality will surely be missed. May God grant him eternal peace forever.